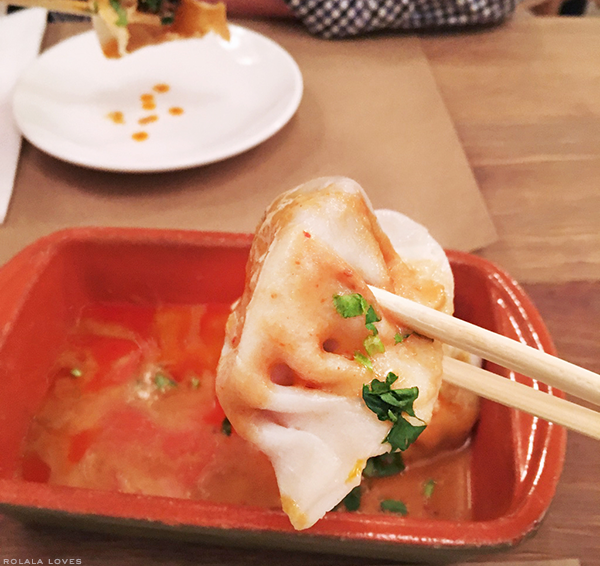 Chop Shop II is a recent dining discovery with a menu that features a fresh take on Asian fusion cuisine. The space has a casual and cozy vibe with a clean and minimalist color palette of white washed exposed brick walls and blonde wood furniture. Their food offerings range from traditional Chinese to Southeast Asian dishes. Our server recommended the steamed lamb dumplings which is one of their specialties and these juicy and flavorful bites were a promising way to start our meal. 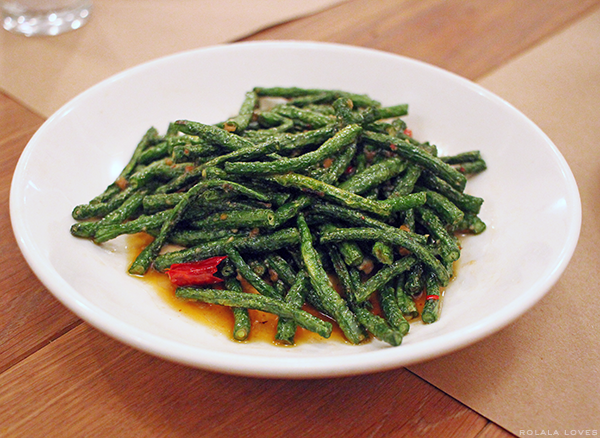 We got two orders of vegetables that included pea tendrils (also known as pea shoot leaves) sautéed with garlic and spicy Sichuan long beans. Both were well cooked and seasoned. The spicy flavor of the long beans was on the mild side. 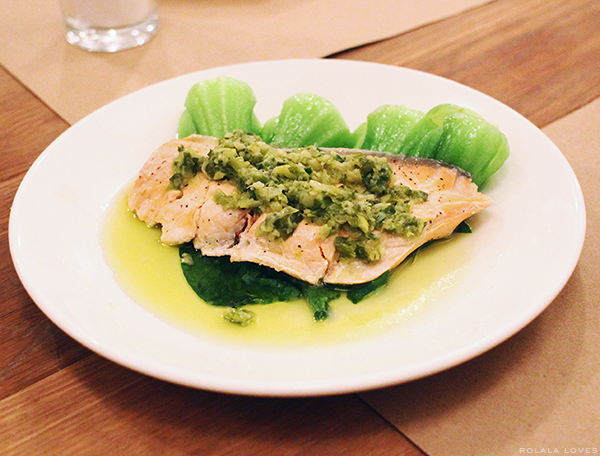 We also tried the poached Norwegian salmon which tasted fresh and delicious. 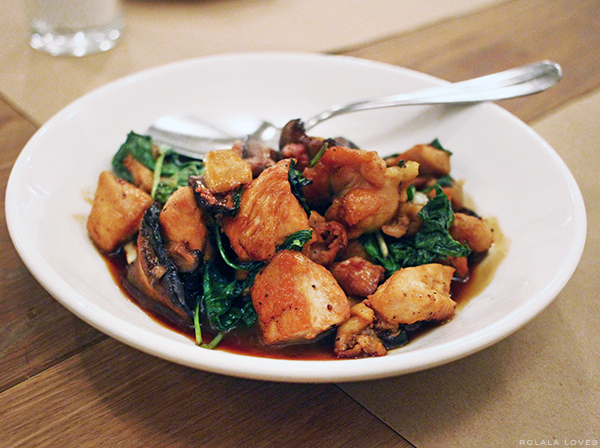 The Three Cup Chicken, a classic Taiwanese dish was a tad overseasoned but otherwise tasty. The dumplings and both vegetable dishes were my favorites. The food was solid and so was the service. We'll have to return to try their curry and drunken noodles. This is one of two Chop Shop restaurants. It is located in the Flatiron area of NYC. 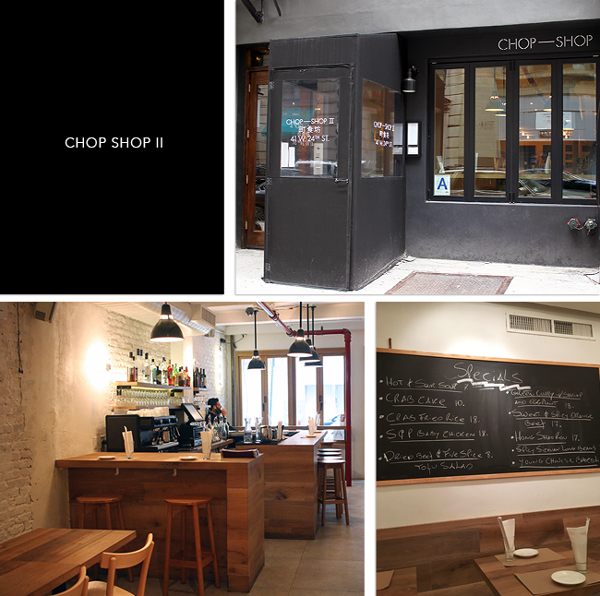 The original Chop Shop is in Chelsea. I like the size of the portions and the food looks really good! I´d love some dumplings right now. The food looks delicious. Oh my how delicious everything looks. 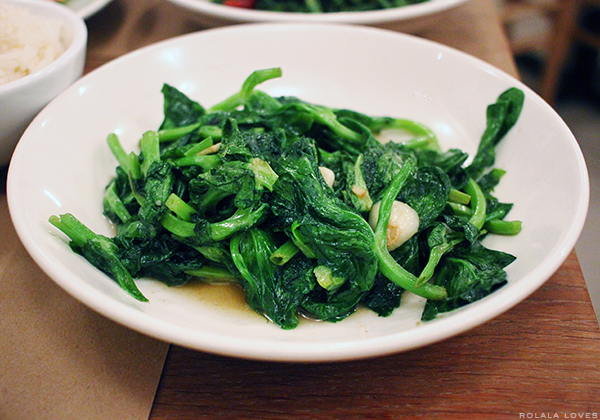 I never had pea tendrils before and that dish that includes them got me especially interested. Salmon is something that I wouldn't mind eating either, I've always been keen on fish (both water and sea variety). My native cuisine (dalmatia region seaside) is practically founded on fish and vegetables. This restaurant seems great! All of these dishes look yummy....and quite unique. I'm not really a big fan of fusion food, but goodness...these all just look so good! I would like to go there... delicios food!!! It looks yummy yummy yummy, Rowena. Happy new week girl. The food looks absolutely delicious, Rowena! I struggle with making my own dumplings, I have no problems with making the filling, it's the wrapping that I fail in. I just don't know how to fold/pinch it to perfection like in the picture. Everything looks so exquisite, oriental food is one of my favorites, I enjoy the mix of flavors of their dishes. Happy week Rowena! 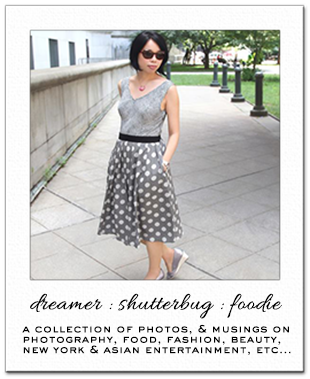 I always love seeing your food photos -- nom nom. Oh this all looks pretty good, better over spiced then under spiced. The dumplings look so good! another fab and honest review from you!! much appreciated. This is the kind of restaurant I love to go to, Rowena. Everything looks amazing! This looks like a lovely bright, airy place to go. All places near us are quit dimly light and it's frustrating, esp when you want to take photos! The dishes looked absolutely delicious :D Glad to hear overall they were good. The interior looks so warm and inviting...and actually, so does the food. I never realized such a great restaurant was so close to me! Can't wait to check it out, thank you for the awesome photos and post!